The Pound's outlook against the Canadian Dollar has shown a material improvement of late, and on this basis we could expect further gains. But, we are wary of volatility around Tuesday's key Brexit votes in the British parliament and an unexpectedly positive Canadian GDP data release due out mid-week. The Pound-to-Canadian Dollar exchange rate will start Monday at 1.7446 having risen 2.15% during the previous week. The technical outlook for GBP/CAD is notably more bullish for the pair now that it has successfully broken out of the top of a range or box pattern it has been trading in for 6-months, since August 2018. The move above the end-of-December highs at 1.7496 is a major game-changer for the exchange rate as it confirms a breakout and further upside likely. The breakout move is expected to reach a minimum target of 1.7625, based on a percentage of the height of the pattern extrapolated higher. A re-break above the 1.7526 highs would supply confirmation. The RSI momentum indicator in the lower pane on the weekly chart has risen in parallel with the exchange rate, furthering supporting the uptrend. On the daily chart, however, RSI is not so strong but not bearish either. The pair is trading above both its 50 and 200-day moving averages (MA) which is a further bullish sign supporting a follow-through after the breakout. The 50-week MA has been breached on the weekly chart but the 200-week remains an obstacle at 1.7790. Canada’s Dollar remains undermined by renewed concerns about the slowing global economy and a slowing domestic economy, with last week's retail sales data suggesting the economy might have contracted in November. 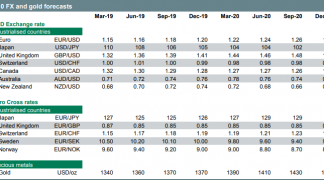 Last Wednesday's data also adds to a growing body of evidence suggesting growth is decelerating more broadly, potentially strengthening the case for the Bank of Canada (BoC) to sit on its hands for a while before raising interest rates again. With the above in mind, Thursday's GDP data - due at 13:30 GMT - will form the highlight for the Canadian Dollar this week. Month-on-month GDP data is forecast to read at -0.2%, in November, down on October's 0.3% growth. "Looking at the surge in hours worked according to the Labour Force Survey, you might be fooled into believing that November was a good month for the Canadian economy. 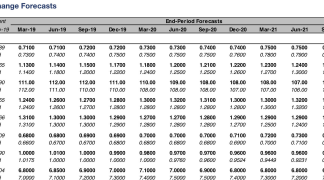 But, subsequently released industry data, which we put more faith in when forecasting monthly GDP, suggest that the economy likely contracted," says Royce Mendes, an economist with CIBC Capital Markets. Retailing, wholesaling and manufacturing activity all declined during the month, while none of the other categories for which we have data look likely to provide much of an offset. "As a result, the October acceleration in growth now looks fleeting," says Mendes. 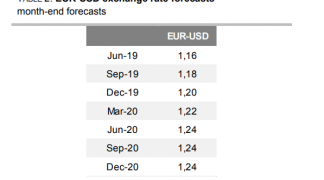 With such dour expectations heading into this data release, we would suggest any beat on the expected -0.2% would prove positive for the Canadian Dollar which could well experience a relief-style rally on such an outcome. On Tuesday parliament votes on the government's 'plan B' on Brexit, which could give us a better steer on where the UK is headed and further cement expectations that a 'no deal' Brexit is becoming increasingly unlikely. It is the growing expectation for this worst-case scenario to be avoided that has provided the fundamental fuel to the Pound's impressive start to 2019. Prime Minister Theresa May is widely expected to say she will go back to Brussels to ask for further concessions required to make the Brexit deal more palatable to those in her party that voted against it earlier this month. most significant as it gives Parliament the opportunity to force the government into requesting an extension to Brexit if parliament fails to approved a deal by February 26. We believe the EU would consider such a request with Austrian Chancellor Sebastian Kurz saying last week any extension would likely only last three months. While any delay only serves to extend the Brexit-induced uncertainty hanging over the UK economy, it does signal to the market that a worst-case scenario for Sterling - a 'no deal' Brexit - becomes increasingly unlikely. On the data front, Friday February 01 sees the release of manufacturing PMI data, with markets expecting a reading of 53.5, down on the previous month's 54.2. "While we expect only a moderate fall in January’s manufacturing PMI, recent weakness in the eurozone PMI means a larger drop cannot be ruled out," says Ruth Gregory, Senior UK Economist with Capital Economics. We expect any impact on the Pound from data to be relatively short-lived owing to the all-encompassing importance of Brexit politics.